All of our treatments are by appointment. You can call us at 703-279-2101 or text us at 703-966-1807 if you like anytime. For almost 25 years, Dr. Murphree has been on time for her appointments. She does not like you to wait and even 5 minutes is too long in her experience. You just let us know if you are running late and we will accomodate. Prices subject to change but are presented here to be of assistance. We do not take any insurance as we are an out of network provider. We will submit all of your claims for you as a courtesy with one good effort. Our patients also use their flexible spending accounts. Some of our patients have administrators for the FSA that need the ‘reject or declined service’ from their insurance company as proof allowing them to use their flexible spending account. 95% of all treatments in the clinic qualify for FSA, HSA and insurance reimbursement. Call us or email us and we will help you with this decision. Initial New Patients are scheduled with other patients on busy days in the practice. One reason is because we are accommodating. Another reason is that patients go on therapies before seeing Dr. Murphree. This is done for the benefit of the patients. She will wait for you and most of your doctors would never wait for a therapy. This is just one way Dr. Murphree is different. Our clinic focuses on the “quality” of care you will receive from us. Dr. Murphree books her patients so that she can spend more time with them. Most treatments are $85 for chiropractic adjustments including extremities and $85 for acupuncture treatments including infertility. These are usually performed with some kind of therapy to better assist the process of alignment and relaxation. These therapies are from $20 to $30 each. Facial Acupuncture is separate and found on www.fairfaxfacial.com site. Being “out of network” with Obamacare and commercial insurance companies is our choice. You can see an “in network” doctor and wait longer in the waiting room, be given less attention, and receive less treatment. After 25 years, we know we are right in this assumption. It is your decision. We have found that our patients get paid back faster with our policy changes since 09-2009. It is amazing. Dr. Murphree and staff wants to treat you “not” a computerized data point. 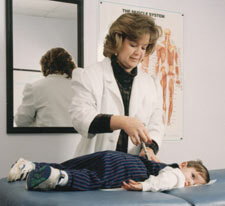 Acupuncture which is not allowed to be paid by Medicare Part B, will be still accepting New Patients. The corresponding “denial” from Medicare may be used to bill the secondary insurance carrier. Dr. Murphree is a non-par participating provider, NPPN with Medicare Part B for chiropractic. That is a “NPPN” which means the senior pays the clinic and hopes to be reimbursed by Medicare Part B coverage. The most important relationship for Dr. Murphree is with her patients.